Home > New World Pinot Noir > Sugarloaf Ridge 2007 releases absolute blinders! Originally intended to be part of my larger project “Australia Benchmark Chardonnay Producers” I am sure readers will not mind if I include chardonnay’s soul mate, pinot noir in this coverage of new releases from Sugarloaf Ridge. The 2007 Sugarloaf Ridge Chardonnay is indeed a blinder, nothing short of exemplary and in my view, the benchmark for Tasmania. In the late 1950’s Jean Miguet at La Provence, east of Launceston and Claudio Alcorso at Morilla Estate near Hobart, pioneered the renaissance of Tasmanian wine industry. The late 1960’s and 70’s saw the establishment of Graham Wiltshire’s Heemskerk vineyard on the Tamar, followed by Andrew Pirie at Pipers Brook, north of Launceston and Freycinet Vineyard on the Eastcoast in the early 80’s; the suitability and reputation of chardonnay in the cool-climate of Tasmania was slowly chiselled. Indeed, it took almost two decades for mainland Australia consumers and winemakers to finally acknowledge that Tasmania is potentially one of the finest regions for chardonnay. Even to this day, much of the varieties nucleus is still lost in the mutli-regional sparkling blends that rely on Tasmanian chardonnay sparkling base wines fruit structure, purity and most of all naturally-high acidity. I personally feel Tasmania’s success with chardonnay as a sparkling base held back the region or island’s evolution by diluting the source of the fruit or obscuring the definition of Tasmania terroir. Perhaps this is less of an issue now there is a strong line-up of definitive Tasmanian sparkling’s however, chardonnay as a table wine is now overshadowed by consumer interest in the states bourgeoning success with pinot noir. Thus Sugarloaf Ridge is a welcome entrant to the Tasmanian chardonnay stakes and whilst a relative newcomer, behind the winery door, so to speak, and toiling the vineyard is Tasmania’s grand master vigneron, Julian Alcorso. Notwithstanding the astuteness of owners Kristin and Julian Colvile in engaging Alcorso moreover, their dedication and passion for Sugarloaf Ridge and all things Tasmanian, having someone of this experience and talent realizes the dream. Alcorso has over 30 years experience in Tasmania to draw upon and has set the trends (sometimes a little too visionary and a bit ahead of his time) in the region, if not pivotal in the evolution and success of the states wines, produce and restaurants. Sugarloaf Ridge is a tiny, picture-perfect vineyard, 35 km southeast of Hobart just off the main tourist route to Port Arthur, with panoramic views over Frederic Henry Bay. In terms of geography and climate, this part of Tasmania, the Hobart region, has more in common with the south island of New Zealand than mainland Australia. Although volcanically inactive now much of Tasmanian’s mountainous topography was formed during the early to mid-Jurassic period with masses of dark, layered volcanic rock and pillow basalt flows associated with underwater eruptions and hot lava coming in to contact with seawater. This is evident at Sugarloaf Ridge with basalt rocks throughout the vineyard and a deeper substrata of solid basalt. There is also evidence of Quaternary glaciations (around 2.6 million years ago) although much of the topsoil would have been formed at the end of the last ice age, around 11,000 years ago, and as the ice melted and the sea levels rose, Tasmania separated from the Australian mainland. The soils here are severely leached and subsequently relatively infertile, thus ideally suited to viticulture and foresting. More significantly, Sugarloaf Ridge is positioned at 42 degrees south (the same as Marlborough and correspondingly, southern Burgundy), right in the path of the roaring forties winds, which Julian Colvile ambiguously bemoans, along with a distinct lack of water, keeps the yields painfully low. At the same time he admits this is the key to the quality and uniqueness of the wines as these yield-tempering winds have brought out the best in the ubiquitous Penfolds chardonnay clone however, he is now procrastinating over new plantings of the popular Dijon clones that a less resilient to high winds. To say this a maritime-climate is an understatement, surrounded by the southern Indian and Pacific oceans and lashed by the prevailing Antarctica winds with the winters harsh. And yet it enjoys an abundance of long, radiant sunshine-days and most importantly the discernibly cool-climate acute diurnal changes with plummeting night-time temperatures enhancing fruit flavours and instilling bright acidities. Moreover, the environment does not come anymore pristine than this. Stylistically, one is struck by the pureness and freshness of fruit and even though it is barrel-fermented, the fruit soaks up the oak to the point it is barely noticeable. There is an underlying elegance and vibrant edginess, or tension to the wine, a racy almost steely-flinty quality yet seductively viscous enough to appeal to the discerning chardonnay palate. A decidedly approachable chardonnay in its youth, more so than many other top tier Australian chardonnay’s, at the same time I would think capable of ageing between 5 to 8 years, possibly longer. Above all, it is a wine of distinctive personality – a wine that exudes a sense of place. Whilst I was most impressed with the Sugarloaf Ridge 2006 offerings, unquestionably impeccably made and full of character, the 2007 vintage simply displays more stuffing. The yields were significantly lower and the weather similar to near perfect conditions that New Zealand experienced, as opposed to some of the perilous heat waves conditions experienced on the Australian mainland. Alcorso comments that the wines have more structure and density, not necessarily an easy year in the vineyard but the resulting wines should age well. I am would suggest that most palates will find the wines immediately irresistible and should be purchased by the dozen without hesitation, before the rest of the s wine-avvy world discovers this gem. All Sugarloaf Ridge wines are sealed with screwcap closure guaranteeing their freshness and maintaining purity of flavour and quality. I have included tasting notes from 2006 as these will still be available in some markets. Lifted peach and apricot aromas, like a bowl of stone fruits in the sun, hints of fresh pineapple, peaches and cream, sweet notes of Manuka honey, intense citrus background, raw almonds and oatmeal nuances, cold-wet basalt rocks minerality – much tighter on the palate than the exuberant nose suggests with a surge of lemon and grapefruit, indeed very deceptive with little sign of the peach or apricot scents that dominated the nose. Lots of spicy freshly ground ginger and tingly heat; then the apricot flavours appear building in intensity on the back palate. Elegant and silky textured, seamless with barely noticeable oak all framed in fresh, lively acidity that has a persistent marmalade tang and lurking minerality and flintiness. Forgive me for making such comparisons (again) but this reminds me so much of the very best Grand Cru Chablis although perhaps I should be saying it is distinctly Tasmanian as with its pure fruit and pristine composure, it most certainly differentiates itself from others. I place this in the top 5 benchmarks chardonnay’s of Australia. Redolent of freshly cut kiwi fruit, offering sweeter fruit tones as it breaths – rock melon, fresh ripe figs and peaches with a background of grapefruit and fresh pineapple. There is a hint of butterscotch amongst perfumed vanillin oak with a distinct chalkiness and cool mountain-air-minerally semblance; reminds me of the pure fruit and mineral qualities of Chablis Mont de Milieu. Vibrant, tangy fruit palate entry with a strong handshake of grapefruit and fresh pineapple acidity, the intense citrus has a cleanness or pureness about it suggesting a minimalist approach to the winemaking; builds in succulence on the mid-palate with more peachy, mandarin juiciness all the while a fresh ginger spiciness tingly on the palate. Again, showing a chalky character, the overall texture one of relative tightness and leanness in chardonnay terms with barely perceivable oak save for a little tannin grip at the tail end amongst lingering spiciness of fresh ginger and a long lemon-edged farewell. A refreshing, vibrantly fruity chardonnay as clean and pristine as the environment it was grown in. Intriguing sweet and sour perfume of tamarillo (tree tomato) and tamarind paste amongst black cherry and dense blueberry, with air a more lifted perfume of violets and smoky roasted beetroot and sun-dried tomato with balsamic notes and heady spices – five spice, Indian Tandoor – amongst flinty gun smoke and granite in the background. Lush and juicy mouth caressing palate saturates the senses with dark plum compote, sweet black cherry yet with vibrant, crunchy, zingy red fruit throughout the mouth heightened by tangy acidity with the piquancy pomegranate seed, savoury black olive flavours towards the back and fine, powdery tannins with wonderful length and tension. I was totally impressed with the 2006 which has itself turned the corner in terms of development or its tightness, having tried it again recently. However, 2007 looks to be more concentrated with a more weight and certain plushness and extra complexity; a smoother, deeper wine. I make the comparison to Cru Beaujolais Moulin-a-Vent or Fleurie with this properties pinot noir because of its brightness and sweetness of fruit, and this wine is true to form, but please don’t view this as inferior to an analogy to Burgundy, as the intention is to convey this is about as charming and expressive as pinot noir gets in the new world. Pronounced perfume of violets and blood Rose petal along with bright cherry and blueberry – has a distinct sweetness and lift in the fruit with a discernable plush semblance that reminds me of seductive Fleurie or Moulin-a-Vent. Alluring spice and herbal background adds complexity to the hedonistic perfume – striking resemblance of turmeric and the odours of Tandoori ovens cooking meat, also roasted beetroot, black olive, meaty-smokiness and gunmetal nuances with a distinctive flintiness, wild thyme and whiff of juniper berry and menthol youthfulness; gorgeous bouquet that you could nose for hours. Loaded with ripe, sweet cherry, has a wonderful purity and crunchiness of fruit, enhanced by serving slightly chilled. Softly textured, light framework with a savoury, tangy mid-palate, superfine black tea and kalamata olive flavoured tannins, the roasted beetroot and herbal nuances and mirrored on the palate with cool, spearmint acidity with a lurking sweetness and creaminess to the black fruits. Stylistically, this is classic Tasmanian pinot noir with expressive sweet fruit and a pureness and slenderness of the decidedly cool yet radiant climate. It is a delight to drink now but will clearly benefit from a few more years in bottle, the fact I revisited this bottle over three days and it just kept getting better indicative, and would easily live 10 years. I could see this being very versatile with northern Indian cuisine, at the same time ethereal enough to go with many Japanese dishes. 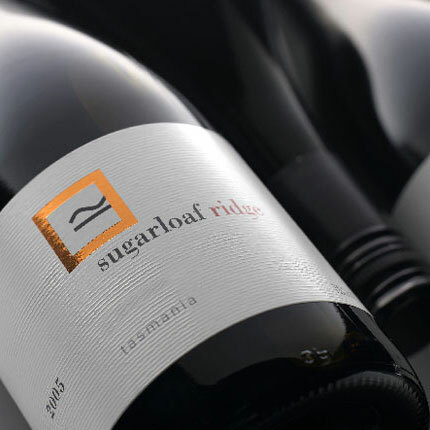 Visit www.sugarloafridge.com.au for more background on the vineyard or to find a stockist in your part of the world, also purchase can be direct from the vineyard.